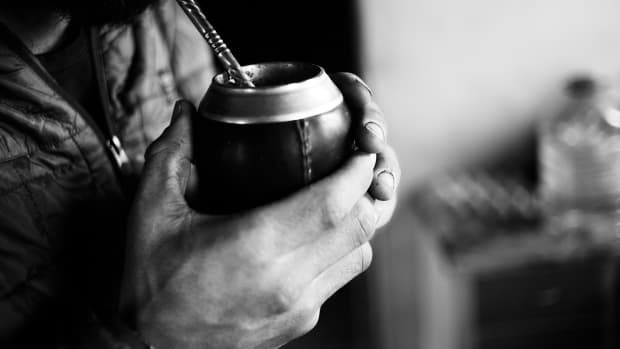 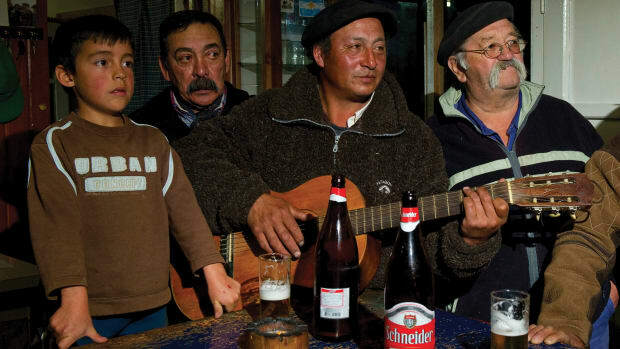 Peter Kaminsky has fished Patagonia for 30 years and wrote Seven Fires with renowned Patagonian chef Francis Mallmann. 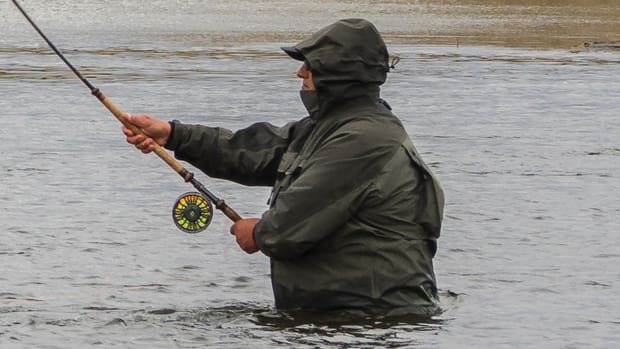 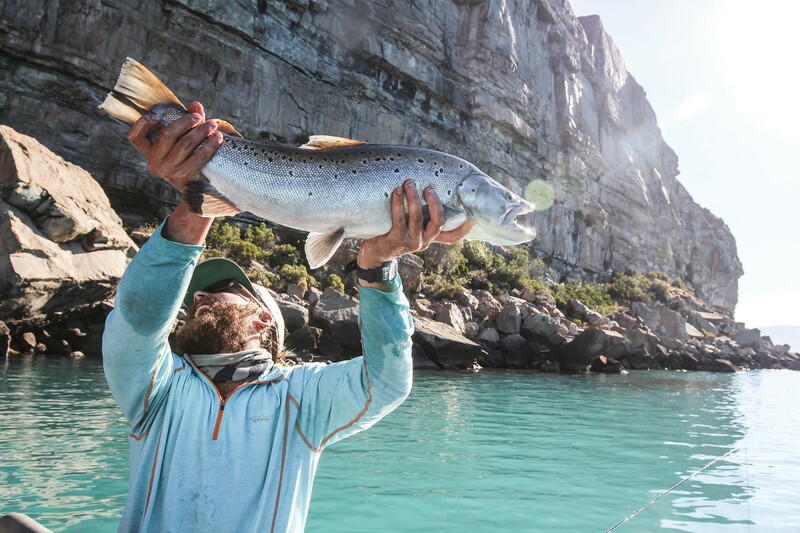 The quest for big trout draws guides and anglers such as Austin Trayser to Patagonia. 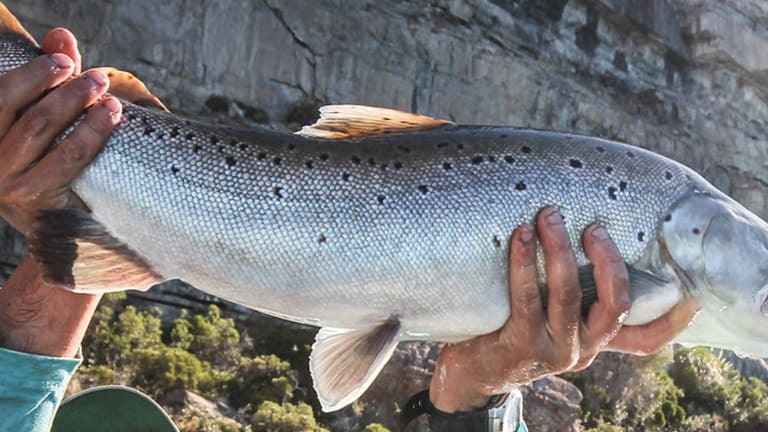 You might say that my 30 years of fishing in Patagonia have been one big pilgrimage to the south in search of bigger water and huge trout. 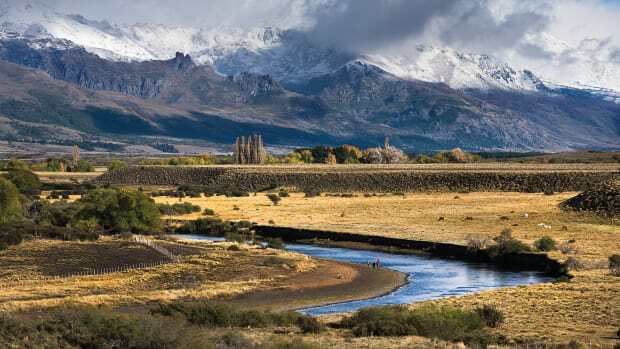 To be sure, all of Patagonia — from the Montana-like landscape of the northern rivers that Charles Ritz and José “Bebe” Anchorena made famous to the harsh, wind-swept Pampas of Santa Cruz and Tierra del Fuego — is a fine place for a fisherman to find him or herself, if you like less-pressured water; steak, steak and more steak; robust red wine; and a sense of style that is half John Wayne and half Fred Astaire. 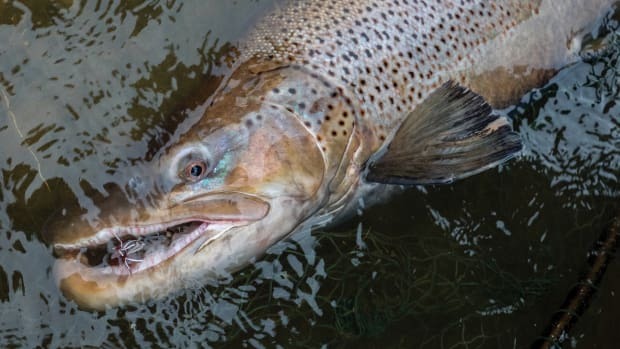 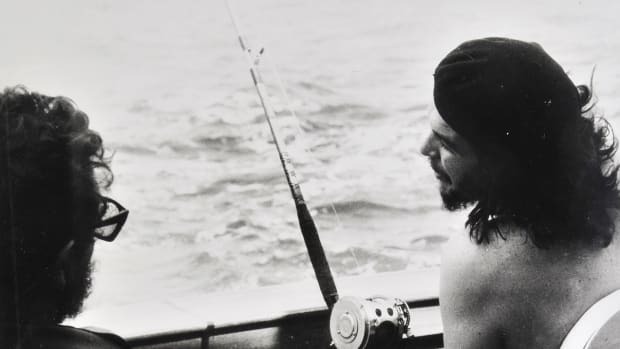 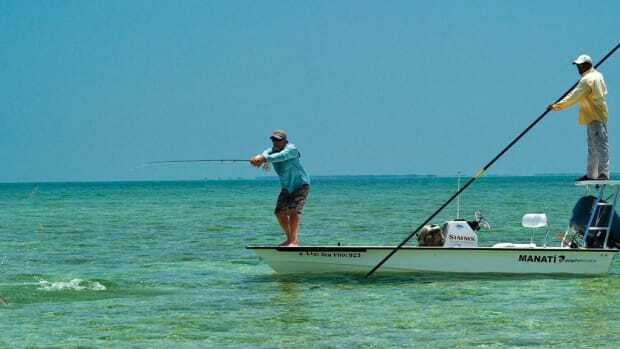 Still, as Joe Brooks, the airline pilot turned fly-fishing pioneer, once observed, as anglers move on in years, they will finally confess that the goal is bigger fish. 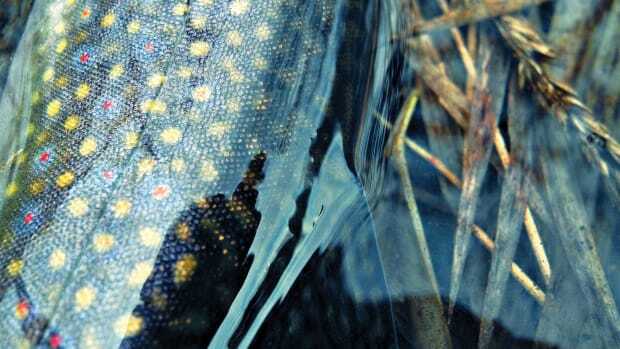 Of course, you can go on telling yourself that average-size fish and lots of action on gently flowing streams are downright poetic; that just being outside in pretty surroundings and catching a few is perfectly zen. 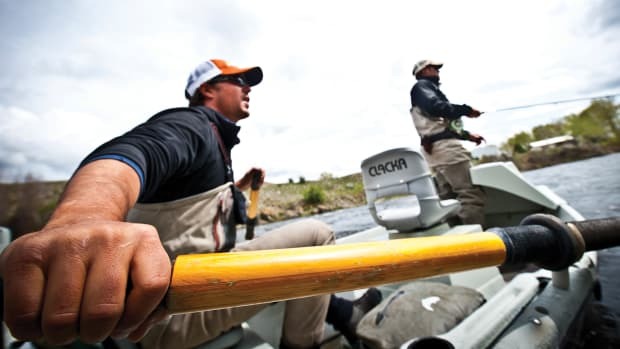 But in truth, casting into the teeth of a roaring gale and connecting with 20 pounds of muscle-bound trout that takes you perilously far into your backing will jolt your soul and simplify your worldview until all that exists is an arcing rod, the hissing of line snaking through the guides, and the wake of a trout that cleaves the surface like a rip in the fabric of space and time.